New Deadly Trend Among Teens | Controlled Air Inc. There is a new trend among teens with deadly consequence, freon huffing. Huffing is the inhalation of chemicals, paint or gasoline through the nose or mouth. It is also referred to as sniffing, dusting or bagging. Freon huffing rapidly destroys brain cells and can lead to heart-failure, brain damage or death. It gives teens the feeling of being intensely drunk but quickly dissipates making detection difficult. Some teens even place a plastic bag over their head with the freon inside which can lead to suffocation. The National Institute on Drug Abuse reports that one in five American teens have used Inhalants to get high. According to Stephen J. Pasierb, President and CEO of The Partnership for Drug-Free America, 22% of 6th and 8th graders admitted abusing inhalants and only 3% of parents think their child has ever abused inhalants. An analysis of 144 Texas death certificates by the Texas Commission on Alcohol and Drug Abuse involving misuse of inhalants found that the most frequently mentioned inhalant (35%) was Freon (51 deaths). Of the Freon deaths, 42 percent were students or youth with a mean age of 16.4 years. National Institute on Drug Abuse’s ‘Monitoring the Future’ study reveals that inhalant abuse among 8th graders is up 7.7% since 2002. 55% of deaths linked to inhalant abuse are caused by “Sudden Sniffing Death Syndrome.” SSDS can occur on the first use or any use. The Inhalant causes the heart to beat rapidly and erratically, resulting in cardiac arrest. 22% of inhalant abusers who died of SSDS had no history of previous inhalant abuse. In other words, they were first-time user. “Huffing,” or inhaling volatile substances is becoming increasingly popular among children, especially among 12- to 14-year-olds (Archives of Pediatric and Adolescent Medicine, 1998;152(8):781–786). To be proactive make sure to secure refrigerant, installing locking caps on an A/C unit is one possibility. 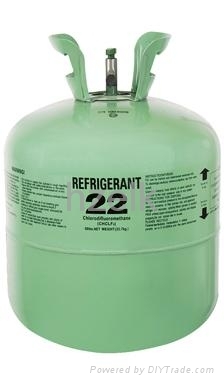 There is a provision for securing refrigerant access ports on new construction codified by the International Code Council (ICC) in the 2009 International Mechanical Code (IMC) and the 2009 International Residential Code (IRC) and has been accepted by the International Association of Plumbing and Mechanical Officials (IAPMO) for inclusion in the 2012 Uniform Mechanical Code (UMC), but these codes are not adopted by all jurisdictions.